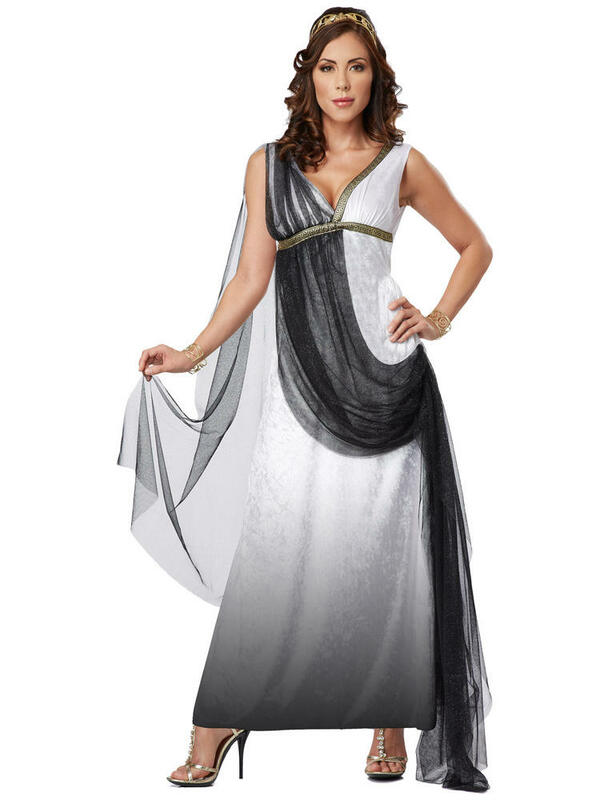 Transform yourself in Roman Goddess with this Ladies Deluxe Roman Empress fancy dress costume. Includes a deluxe slip-on dress with an ombre effect, an attached sheer drape and bronze trim around the bust. Check out our shop for more Ladies Roman Empress fancy dress costumes.